The experience of participating in a Town Hall along with the recommendations has resulted in impacts both large and small. Establishment of the Arizona Department of Revenue. Voluntary contributions for multipurpose districts (payment of in-lieu taxes). Creation of the Arizona Water Commission. Development of current method for selecting judicial candidates for the state’s most populous counties. Establishment of the Ground Water Management Act that provided for the creation of the Department of Water Resources. Establishment of a statewide jobs training program. Authorization of motor fuel tax increases to fund freeway expansion in the Maricopa County area. Creation of an economic development, international trade and tourism committee within the Arizona House of Representatives. Passage of the Juvenile Crime Omnibus Bill, termed by many professionals as the most significant reform of juvenile crime measures in many years. Passage of an initiative on the 2000 ballot regarding reform of Arizona’s redistricting process. “Growing Smarter” legislation to strengthen urban planning and provision for open space. Establishment of the Governor’s Transportation Vision 21 Task Force. Passage of a bill that addresses the fiscal policy and tax concerns expressed in a number of Town Halls. Action by the Arizona Department of Commerce to organize and oversee a statewide economic study. Encouragement of legislation to authorize the Secretary of State to establish a statewide directory for medical advance directives. Adoption of the “Rules of Civil Procedure” that are designed to speed civil court cases and cut costs. Creation of the Sedona Cultural Park. Passage in the 1994 Special Legislative Session of a number of bills centering on “youth at risk” issues. 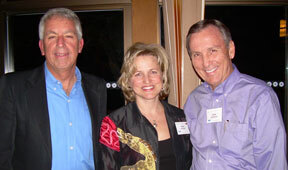 Formation of Science Foundation of Arizona with the hiring of Dr. William Harris as its first President and CEO. Dedication of $35 million by the Arizona State Legislature plus private-fund pledges toward the development of the bioscience and biotechnology industry. Establishment of the UA College of Medicine-Phoenix. Establishment of the “Move On When Ready” initiative for Arizona students. Passage of the one-cent state sales tax in 2010 to address Arizona’s budget crisis. Preservation of the merit selection system for judges, which was under attack during the 2010-2011 legislative session. Participants of the Arts and Culture Town Hall formed a “Next Steps” group which developed action agendas around several of the major Town Hall recommendations. An arts and culture political action committee was formed to raise money to contribute to arts-friendly candidates in the 2012 elections. Arizona Citizens/Action for the Arts conducted an extensive voter engagement and education effort. Recommendations from the 101st Arizona Town Hall on Civic Leadership and the 102nd Town Hall on Higher Education are being used by stakeholders as a road map for policy changes and community action. Integration of civic engagement curriculum in community colleges. Community actions to improve access to early education resources. Education of thousands of Arizonans on water issues in Arizona. Changes in local policies to improve the resilience of vulnerable populations. Local, regional and statewide efforts to conserve water. Economic development strategies for local, regional and statewide efforts.